Dennis Itumbi was yesterday forced to apologize to the public for a misleading post he had made. 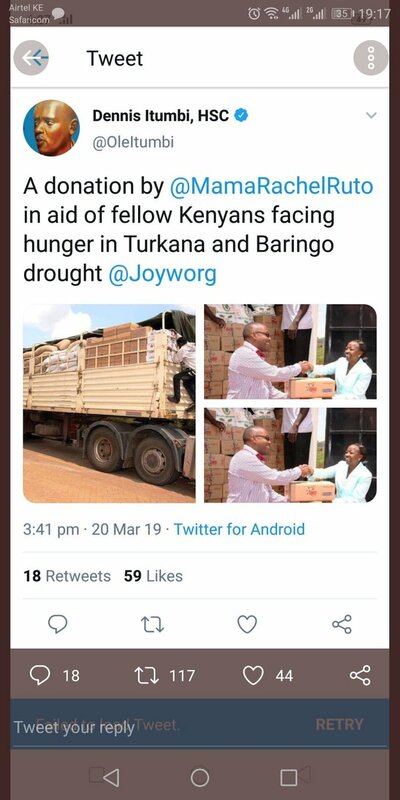 Itumbi had tweeted photos of the Deputy President’s wife presenting donations to some officials. A donation by @MamaRachelRuto in aid of fellow Kenyans facing hunger in Turkana and Baringo drought. Barely an hour later, he was trending online but for the wrong reasons. It emerged that the pictures of Mama Rachel presenting the donations, had actually been taken back in April 2014. This comes barely a week after DP Ruto refuted claims that several people had lost their lives following the current drought situation. I apologize for images I shared here earlier. Mama Rachel Ruto was not in Turkana I relied on unverified images. This was my mistake and I am sorry. I have since deleted them. May the record reflect the true position and my apology too. Omosacha Nyangetibere: Itumbi don’t dance on people’s graves for your stupid personal gains, u take Kenyans as fools just to score ur interests, play ur league well, we know ur the master of fake news. Muthoni Nyaga: Ole Itumbi is just a keyboard warrior with an empty brain. A tanga tanga flower girl who can even peddle lies to please his masters. Such a shame. Wambui: Millions of Kenyans are genuinely facing starvation and urgently need help but Itumbi in his wisdom & as usual, thought it was the best moment for PR. Very very unfortunate! Alessandro: On whose behest was Dennis Itumbi tweeting? DP Ruto’s wife? The DP? the State? And how exactly would Omo ease the pain of the starving & suffering in Turkana & Baringo? Jubilee has handled this drought crisis with real clumsiness & heartlessness. 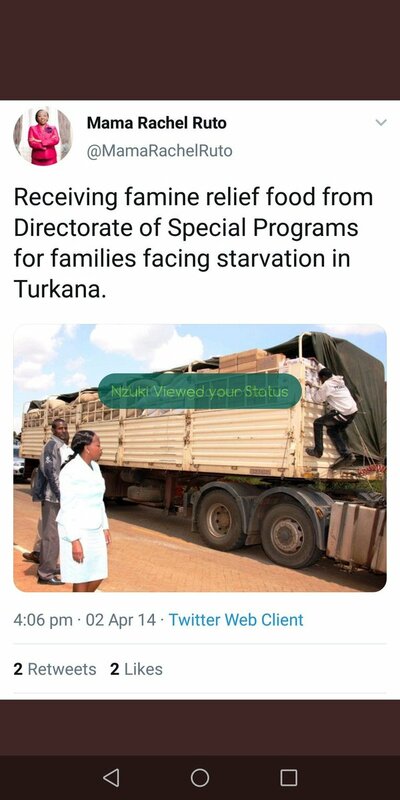 Kelvin Mutwiwa: Dennis Itumbi badly damages the image of Mama Rachael Ruto by posting old photos of her in Turkana to hoodwink Kenyan’s but then, the internet NEVER forgets.